Food is one of the main drivers in both Flash and Melle’s lives. It’s the one thing we can use to properly control both dogs. Shaking a bag of treats across a park will get their attention, and they’ll come running if they aren’t responding to our voices, food is the thing that gets Flash out of bed in the morning (8am is breakfast time – if it’s late, he’ll let you know about it) and it’s the thing that causes big arguments. Melle is all up for sharing his food with Flash, but the other way round and well, it gets ugly. But recently Flash, being the tease that he is, has taken to dropping some of his kibble at meal times on the floor by his bowl, waiting for Melle to go near it, and telling the puppy off when he goes for it. It’s so devious of him. We’ve talked about their new favourite treats in the past, but with regards to what they eat for their meals, We've had both dogs on Tails.com since late last year when we did one of their £1 trials, and they both seem to like it, I mean they wolf it down and neither of them have any tummy issues or other health problems, and it comes right to the door so no more panic buying food whatever rubbish the Tesco express round the corner has. Plus as it works out about the same as the Eukanuba they were on before, it's a bit of a no brainer to just keep them on it. 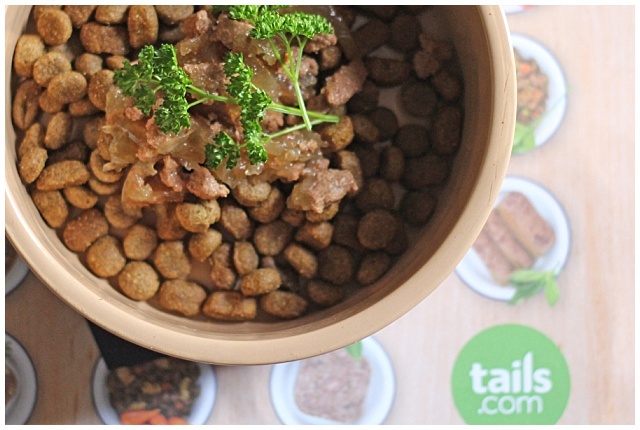 If you've not heard of Tails.com, it's a bespoke dog food company, who deliver your food right to the door. 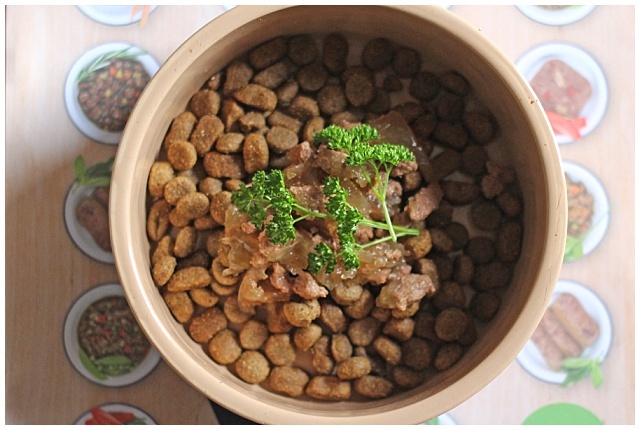 To get started, you input your dogs likes and any dietary requirements they have and they build a blend of the food for your pooch. Then it's delivered to your door monthly so you never run out! Check out their video on how it works here. 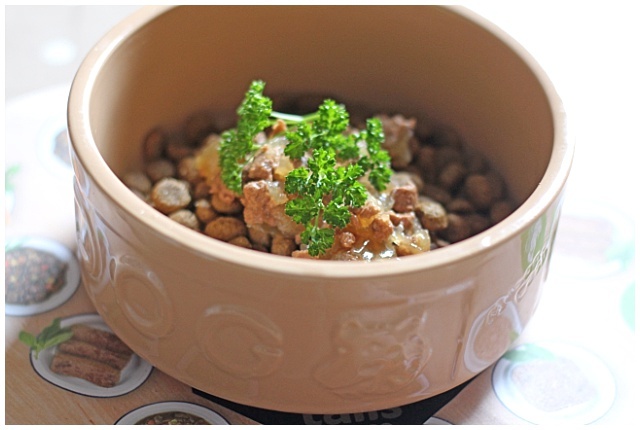 So when we were contacted to try some of the wet food they have recently started to offer, I couldn’t say no. 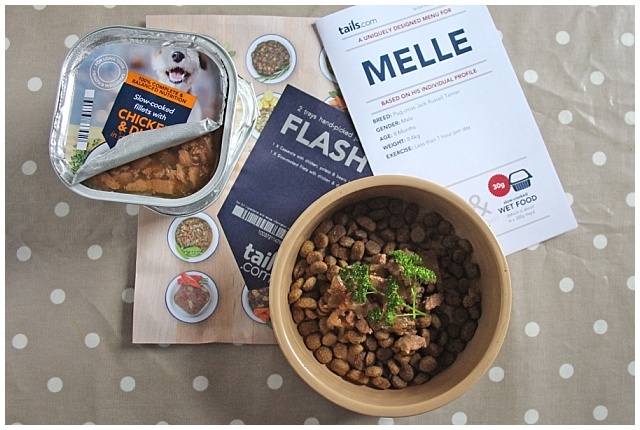 And as we’ve had the dogs on Tails.com wet food now for 2 weeks and I felt it was about time we reviewed it. 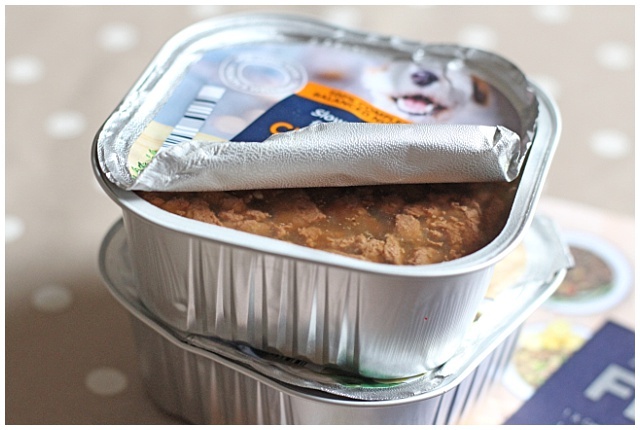 We ordered 4 pots of the 150g wet food in a variety of flavours for both dogs each* but as they were out of that size we received 4 of the 300g pots - 2 were a pate consistency and 2 were more of a wet food in jelly. We’ve been mixing their dry food with a spoon of Bakers wet food for quite a while so they are both used to having dry and wet food. It's got to the point where Flash, being the brat he is, sometimes won’t eat just a dry food bowl without wet food in it, which is so annoying when we run out of it. (Yes, I know how spoilt he must sound sometimes, and well, he is!) All of this means that the move to the Tails.com wet food wasn’t a huge change in their eating habits, but it was interesting to see that there wasn’t a moment that they questioned what I was feeding them. From a dog point of view, they seem to love the food. It gets eaten fast, Flash has started trying to raid Melles bowl, and Melle is always trying to get into the food bags for seconds (sometimes successfully!). They look healthy and their weight is good for their size, so we're happy with their feeding habits. From my point of view, the food looks good, we had guests this weekend and one of them asked if we'd tried it because it looked like human food – we haven’t, and I did offer him some, but he didn’t try it in the end. And that has to be a good endorsement doesn't it! The only thing I will say is early on in the change to Tails.com wet food, Melle had the worst farts. Honestly, they were so bad!Like leave the room bad at one point, but they seem to have calmed down a bit now, which is a plus. But I do like the quality of the food that is coming from Tails.com, and it's so easy to have it all arrive at once rather than having to worry about leaving the house. It also works out at about 50p a pot for the wet food, which when added to the dry food we currently recieve means we'll be paying about £15 a month to feed each dog, which is excellent value I think. Now tell me, which food are your pups on? And do they have naughty feeding habits like Flash? *We were only sent free food for Flash so in order to make sure there was enough for both we bought some for Melle too, which, with the changes in the sizes, in the end meant we had 4 flavours rather than the 8 we were hoping to try. Even though we recieved some of the food for free, we did pay for the other half. All the views in the review are our own. 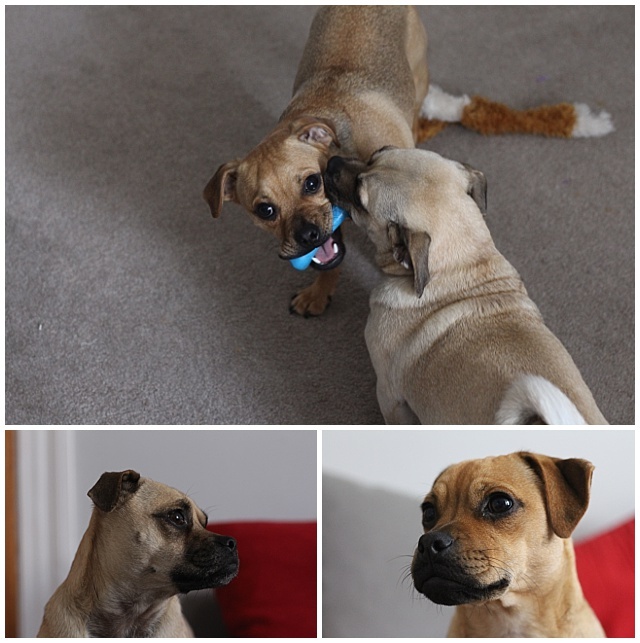 ** I totally wanted to get pictures of the pups sat at the table waiting for their dinner but they kept jumping on the table trying to eat it and wouldn't cooperate in waiting for the food, so, sorry, no nicely styled dog and food pictures from my two gannets!